Overall Size: 102.5cm (L) x 76.5cm (W) x 27.5 (H). Capacity: 650lbs / 10 CU.FT. 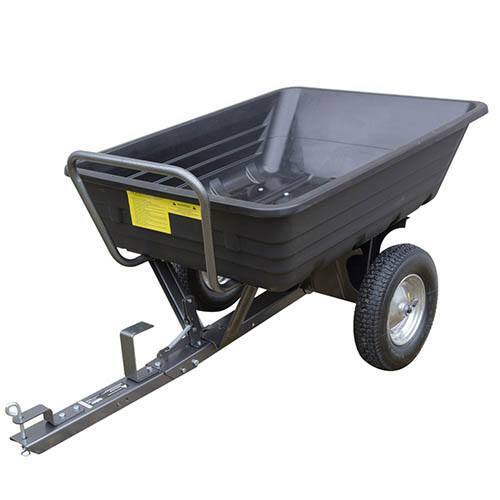 Converts from a push cart to a tow cart by simply unfolding the hitch.